Fees: $10 per event. Enter as few or as many events as you want. $100 enters you in all 12 events. Saturday 09:00 am – Metallic Center Fire Silhouette shooting begins. 7 targets, 14 rounds, magazine change. Timed event. Two classes – Revolver and Automatic pistol. Double knock-out each class. 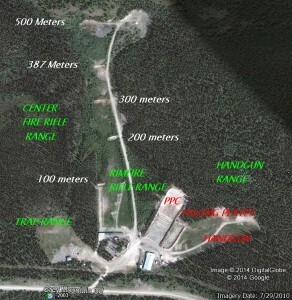 Two classes – rim fire and centre fire, off-hand, most knock overs of metallic targets with the least number of bullets. Regulations regarding safe transportation of handguns apply. Participants must hold a valid Authorization to Transport (ATT).